Massage encourages the healing of injuries and overused muscles by promoting the flow of blood and lymph, relieving tension, stimulating nerves, and loosening muscles to keep them elastic. Massage delivers direct attention to muscles and connective tissue, which decreases inflammation and swelling in the joints, thereby alleviating muscle soreness and pain. 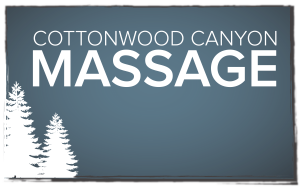 Massage speeds the recovery of overused muscles by flushing lactic acids and toxins into the bloodstream, reducing the onset of muscle fatigue and soreness, and detoxifying the body of refuse and waste. It is an invaluable aid to physical fitness. No other single health technique is more versatile. Massage activates our innate ability to heal ourselves on every level. Helps relieve muscle soreness and stiffness while increasing mobility. Fosters faster healing of strained muscles, sprained ligaments, locked-up fascial tissue, and injuries. Helps relieve tension headaches and migraines. Aids in post-operative and injury rehabilitation. Promotes system-wide emotional and spiritual balancing.